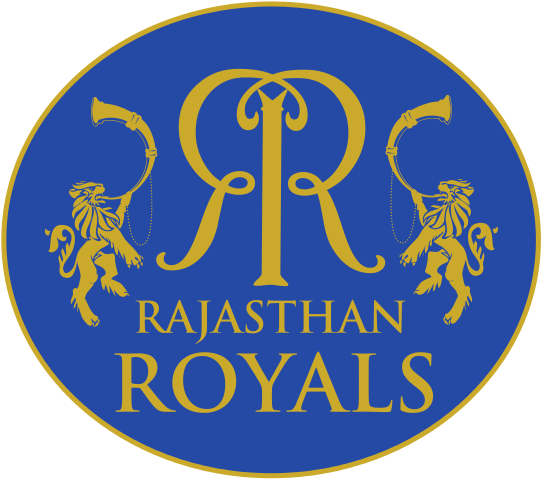 The Rajasthan Royals IPL team represents Jaipur and Rajasthan. RR is the first winner of Indian Premier League, which was held in 2008. In this league they grab a lot of stardom and popularity by winning the cup. They are the cheapest team of that time. After that edition of IPL, they did not win any title of IPL till now. In most of the editions of IPL they got out of the tournament in the league stages. In 2015, the RR team got banned from playing in the IPL due to fixing allegations. They banned for two seasons. In 2018 the ban is over and they are in full force to play 2018 IPL 11 season. They participated in the Mega auctions of IPL to choose a new squad for them, which can help them to get IPL 11 title. This team is equipped with all new players and during the duration of two years, many new players are available for auctions. The budget for the auctions are also increased as compared to last editions of the IPL. Shane Warne will be the mentor the team. They spend some large amount of money from their budget to sign good players. They bough Ben Stokes in 12.5 Crore, Jofra Archer in 8.8 Crore, Sanju Samson in 8 Crore and Jaydev Unadkat in 11.5 Crore. They have some of the most expensive players of this IPL. They also bid on some of the new players to manage their budget. The Rajasthan Royals Players List is shared below which includes Indiana and Foreigner players along with the price. With this new squad they are hoping to win this year IPL title and want their fame back. SMS stadium Jaipur is the home stadium of RR and half matches of Rajasthan Royal are scheduled here. Retained players are also mentioned in the players list. We will update this page as per the IPL program.